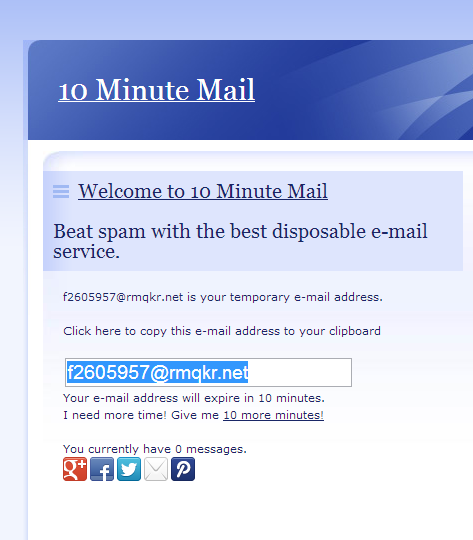 10MinutesMail, as the name implies, is one of the temporary email address generators and disposes the emails within ten minutes. While registering for some social network site or any kind of website, the requirement is to give your temporay email address so that they can send you a validation email. The sole reason of wanting an email address is to send the confirmation email, therefore, instead of giving away your real email id, you can use this service that will dispose of the id after ten minutes. Sometimes, you get an error like “It appears that you have already created an account with us” while using 10 Minutes Mail. This is because the site starts blocking the 10MinuteMail domain, however, this error goes away when the admin swaps in a new domain. 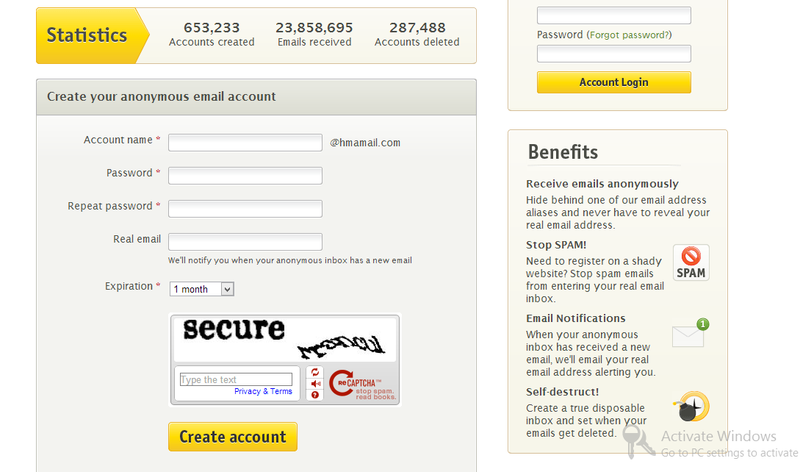 HideMyAss is another website that lets you have temporary email addresses for yourself. Unlike 10MinutesMail, HideMyAss lets you decide on your own when to delete your email id. Whenever you feel like you don’t want that particular id anymore, you can delete it. Moreover, you get their proxy which lets you surf the Internet without disclosing your IP address. It’s not free and doesn’t allow you to reply back to emails. Dispostable let’s you have hundreds of temporary email addresses by keeping things fairly simple and easy to understand. Simple interface, suggests unique email ids too if the user is confused about what email id to make. Unread messages that are older than 2 days get deleted. Therefore, the user needs to constantly check his Inbox so that he doesn’t miss out on anything important. Moreover, doesn’t allow the users to reply to the emails. 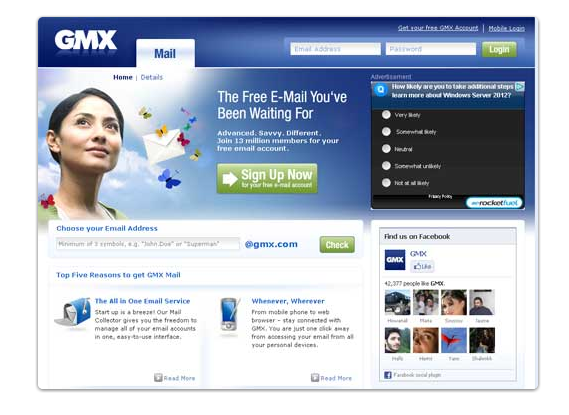 GMX or Global Mail Exchange is another email id generator. It comes with a virus protection program that helps in locating and eliminating of worms, Trojans and viruses. Lets you have 9 different email addresses and allows us to send and receive emails using them. You can delete an email address anytime you want. 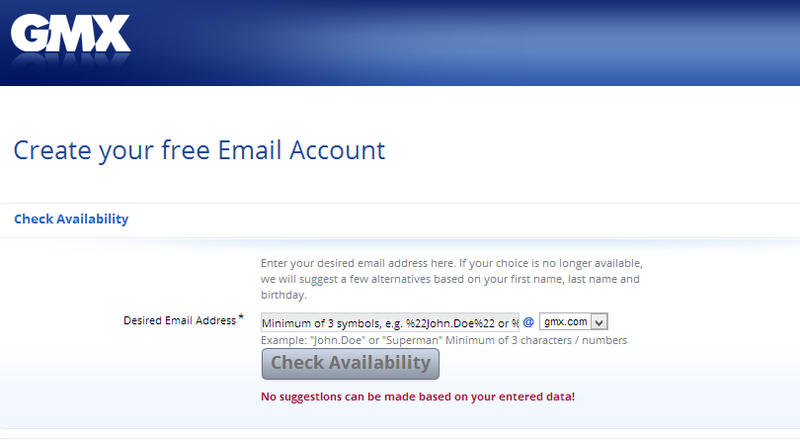 Unlike other email id generators, GMX (Global Mail Exchange) does not happen to have a common base name. 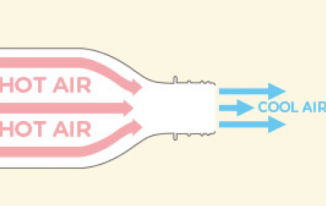 For this, it may take several minutes for the changes to take place. 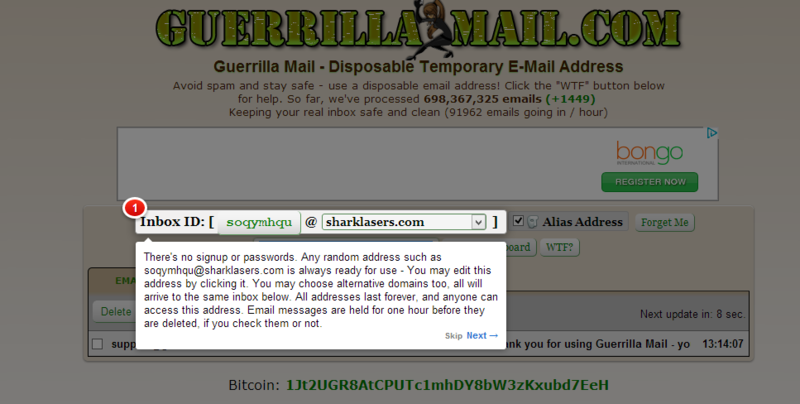 GuerrillaMail is also one of the most popular temporary email address generators. It’s simple, easy and flexible to use providing its users with many disposable email addresses. These are some of the temporary email address generators that you can use in order to get temporary email addresses. 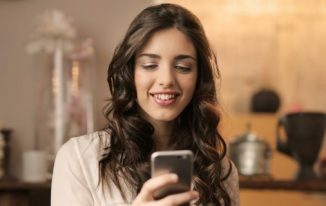 What are temporary email adresses used for? Why should I get a temporary email adress when I need it for a long time? Quite interesting stuff from you Zainil! Thanks for presenting about temporary email address generators with its pros and cons. Will try it whenever needed. waow, great post Zainil. Seems you have done a lot of research before writing this piece. I haven’t used before but I have heard a long ago about 10 minutes mail. Thanks for putting up these together. This was awesome tutorial Zenil. Registering the sites with your original email brings you a lot of spam emails..
With the ever increasing online spams and threats, it has become inevitable to protect our personal information from being misused. One shall use temporary email addresses wherever possible and keep the personal details protected. Really !!! you said rightly that some time we need to access only for a few time. That time we don’t want to send our real mail ids. This could be the awesome way to to access on certain sites which requires a servey or similar thing. It is also possible to set up a number of addresses in advance and specify that they lie dormant until the first email arrives. Upon first email arrival and address activation, then the expiration timer can begin. With this feature it is possible for a user to create a number of nice looking addresses in advance that may be used in printed or other permanent form. These addresses can be handed out when needed without having to manage the expiration properties. The expiration properties will not become active until the first message arrives. This post is going to be very helpful to me. Because, I’m receiving lots of spam ads on my classified site with this types of email id! I had no idea about this before.. So, I have to work on email script to band this types of email. Majharul Hossain recently posted…3 Great Blogging Doctors! Very useful, when we have some doubt on the website to do spam in our email inbox. 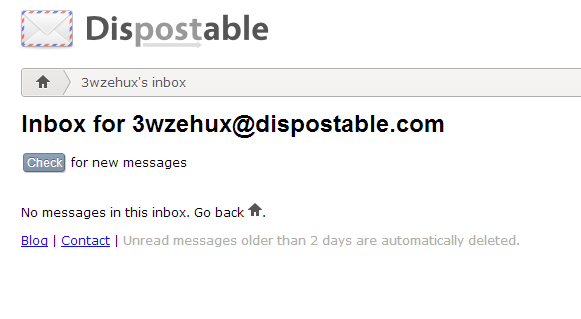 Dispostable is one of the best temporary email address generator. 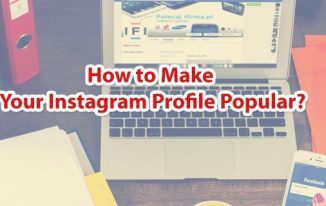 And it can be use with many of the automated tools to create profile and backlinks too. I have never tried any other service mentioned above, but have a good experience with dispostable. I love temp email addresses, so very handy for many things. 10 minute mail has been my preferred temporary email provider for years. Great list. 10 minute mail was my favorite for a long time, but as you mentioned it seems like tons of places have started blocking them. I suppose it was only a matter of time though considering how popular they are. Great article indeed, its a really help me to generate email addresses in bulk quantity. Once we have the list of emails, how do we access those email address inboxes? Does this only tell us that it is available, and we have to manually activate it with a password on the email host website? These emails are usually used for signing up on the sites on which you don’t want to enter your personal email but you need to signup to access some features. In such case, you can make use of such generators to generate fake email addresses. You don’t need to do any settings, just generate and use. Inbox will be given you there on that site only.